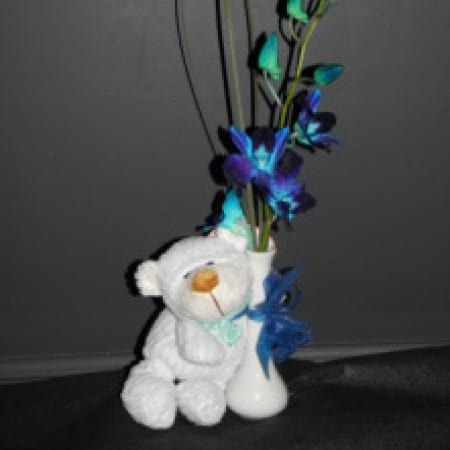 A gorgeous blue bear, with single vase and flower, a perfect gift for the hospital and the new born baby boy, balloons and chocolates can be added. A unique gift idea from Amarantine Flowers By Design Charlestown Newcastle. Same day delivery available to all areas of Newcastle and Lake Macquarie, including John Hunter Hospital, Newcastle Private Hospital, Lake Macquarie Private Hospital, and Mater Hospital.